President Donald Trump threatened to impose economic sanctions on Turkey on Thursday for detaining an American pastor facing terrorism charges. He called on Turkey to release Andrew Brunson, who was arrested in 2016 after a failed coup against Turkish President Recep Tayyip Erdogan that resulted in more than 50,000 arrests. 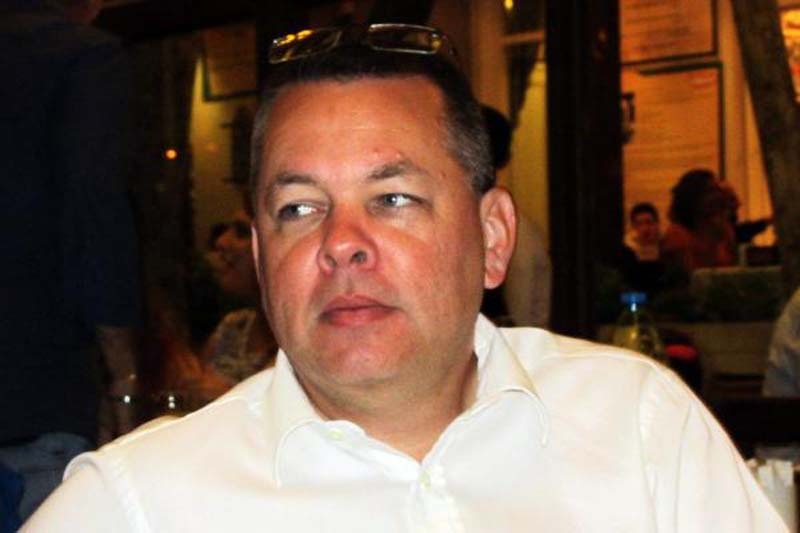 Brunson, who has lived in Turkey for 23 years, is accused of aiding the the Kurdistan Workers' Party, a militant separatist group, and supporting U.S.-based Muslim cleric Fethullah Gulen. [post_ads]"The United States will impose large sanctions on Turkey for their long time detainment of Pastor Andrew Brunson, a great Christian, family man and wonderful human being. He is suffering greatly. This innocent man of faith should be released immediately!" Trump tweeted. Trump did not offer specifics on any sanctions and the Treasury Department has not officially announced any penalties. The tweet came one day after a Turkish court ordered Brunson could move from prison to house arrest due to health concerns. U.S. Secretary of State Mike Pompeo said he welcomed the news of Brunson's move to house arrest, but said it was not enough. "We have seen no credible evidence against Mr. Brunson, and call on Turkish authorities to resolve his case immediately in a transparent and fair manner," Pompeo said. Brunson's attorney, Cem Halavurt, said the charges against his client are "unfounded" and based on secret informants.